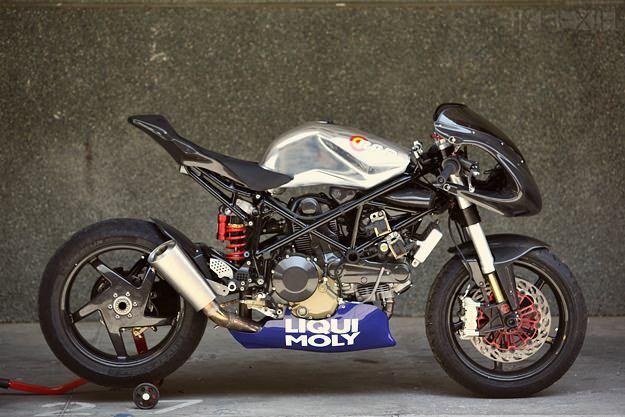 Spain is a hotbed of custom motorcycle building at the moment, and Radical Ducati is at the forefront of the performance-oriented scene. 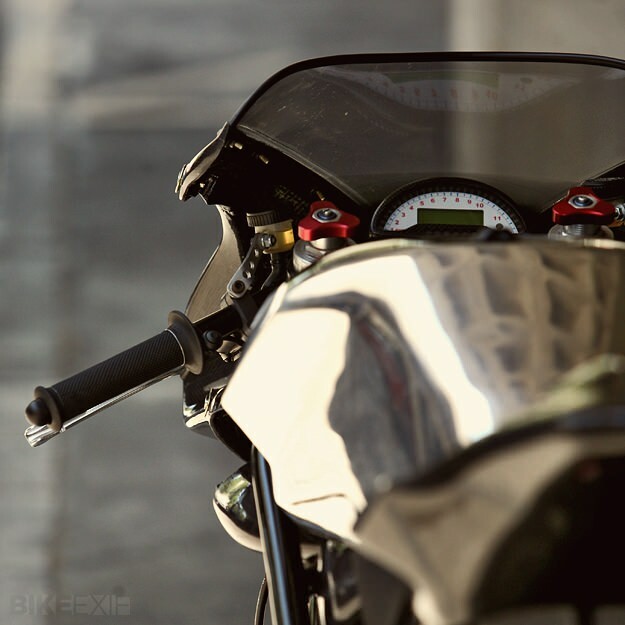 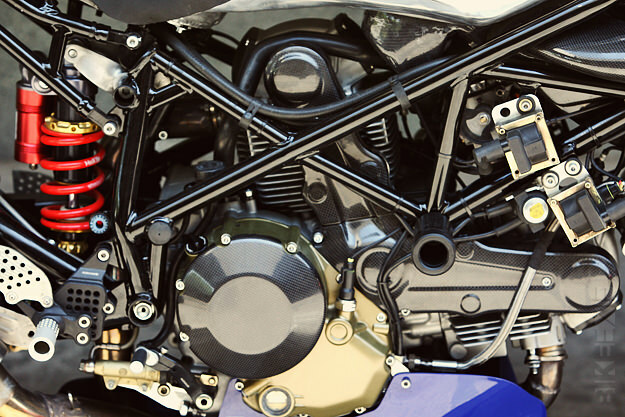 The motor nestles in Radical Ducati’s lightweight RAD 02 frame, with a chrome-moly main frame and an aluminum subframe. 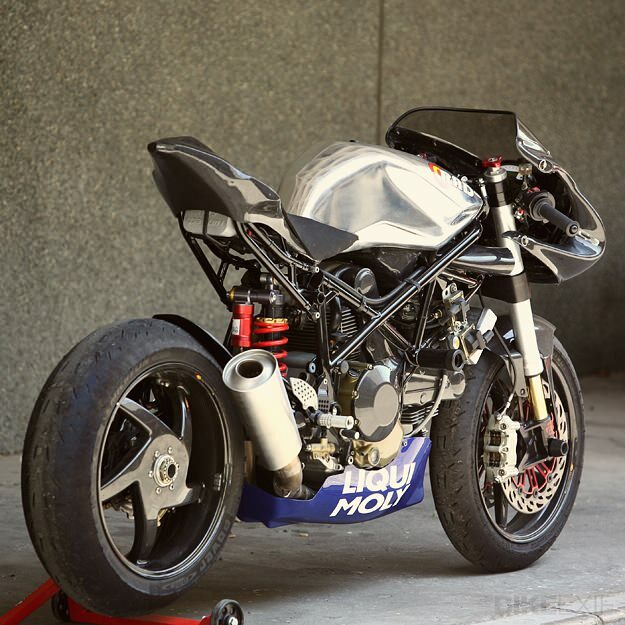 The swingarm is from a Monster S2R, and the wheels are BST carbon fiber items. 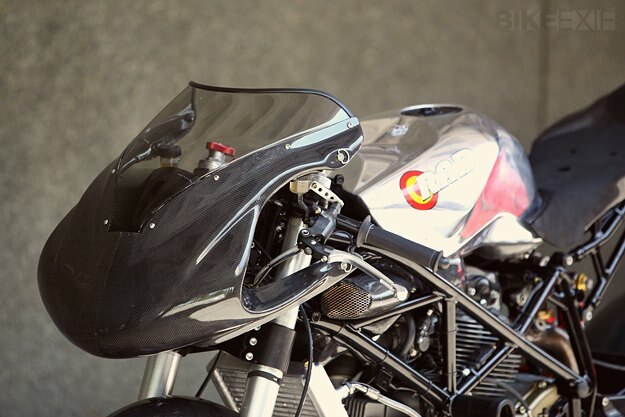 That gorgeous, sculptural tank is aluminum, and left bare.